Sandwiched between baptism and transfiguration is the temptation moment. Between the two moments of the Father’s assurance that he is beloved to him lies the moment for Satan, the moment to be tested of our faithfulness and of our true mettle. This is the human reality that Jesus undergoes for us. This is the death and resurrection experience in baptism and the rest of our lives. He must leave Nazareth to come to the Jordan. He must leave the verdant banks and the cool waters of Jordan to the arid desert to be alone with the Alone. He must also leave his moments with people - teaching, preaching and healing – to be with his father - to be up on the mountain. Sometimes God comes in the beautiful. He comes in ways which impress us, in ways which sweep us off our feet, which fill us with hope and peace. In his beautiful manifestations, God can leave us gasping for breath and gaping in awe. We all have those transfiguration moments in our lives. We must decide whether those moments will be with drugs, alcohol, internet and women and getting high or with changing our lives and living according to the law and the prophets (Moses and Elijah). What are the moments we call awesome ones in our lives? The father never fails to show us those “beloved” moments, those “aha” times, those glorious moments in our lives. Gandhi, Lincoln, Mandela and Mother Teresa had both the moments in their lives. Arvind Kejriwal, the current chief minister of New Delhi, is the latest example. Transfiguration is a moment of enlightenment in our lives where we understand better the purpose of trials, suffering, testing and making sacrifices. We enter into prayer with anger in our hearts, we come out in forgiveness; we go to the Lord in confusion, we come out in enlightenment; we go with our struggles and we come away with strength to face them. We go with our doubts and we come back with understanding. How many young people we meet at the confessional who come with shame, fear and embarrassment and go away understood, comforted and empowered to face trails and temptations of life! Stay with them for a while and come down the mountain to live our lives as ordinary, as simple and as down-to-earth as they can be. One day, a Samurai warrior went to a Zen master for instruction. "Please," the huge man asked in a thundering voice that was used to instant obedience, "teach me about heaven and hell." The master scowled at the swordsman, then broke into mocking laughter. "Me, teach you about heaven and hell? I wouldn't waste a moment trying to instruct the brain of an overweight ignoramus like you! How dare you ask me for such a lofty insight?" Well, upon hearing these words, the Samurai grew furious. No one could insult him like this and get away with it. Enraged, his face flushed and he drew his sword to chop off the teacher's head. Just as he was about to strike, the master raised his hand and calmly said "That, sir, is hell." Upon hearing this, the samurai suddenly realized the profound lesson the master had just taught him – that we make our own hell by indulging in anger and resentment. The warrior was so grateful for this teaching that he dropped his sword and fell to his knees in front of the Master, bowing in humility and gratitude. When he looked up, the old man was smiling. "And that, sir," the teacher noted, "is Heaven. "You risked your very life to teach me in this way? ", the Samurai couldn't help asking the master. "I figured that there was no other way you would have learnt! ", the master calmly explained. A man took his new hunting dog on a trial hunt one day. duck, and brought it to his master. again the dog walked over the water and brought it back to his master. into the lake. The dog walked over the water and got it. nothing and neither did the owner of the dog. doesn't know how to swim.."
click with the neighbour in the story I just told. We often refer to this story as the Transfiguration. In fact however, Jesus’ appearing in glory was merely a new stage in the journey the apostles made with him. From his first manifestation in the world, Jesus was clearly visible as Saviour of all those in need of help. He appeared so especially to those who felt they were in some sort of need and so wanted to turn to him in their prayer for healing and forgiveness. The gospels often tell us about this element of Jesus’ journey. People were attracted to him for this reason alone, which is also why Jesus withdrew from the crowd and took the decision to live on his own. Those who went looking for his healing power found it very difficult to find him (Mark 1:40). This was why it was said so frequently that all found it difficult to really recognize him – although they kept coming to him in ever greater numbers. This incident on the mount of Transfiguration shows us that something radical happened then. Jesus’ divinity was now linked to his lowering himself to be with the smallest of all people. He was getting down to the reality of the cross. This was always the truth of Jesus, he always had it within him. He would now be following in the steps of his two great ancestors – Abraham and Moses. He would be leading God’s people to salvation by identifying with the least of them. It is very striking that after Jesus had descended from the holy mountain, he met a devil who, he said quite openly, could only be driven out by prayer. This was the new identity revealed at the Transfiguration. We reflect on this new identity of Jesus, both for himself and for his chosen disciples. Later on, he began to announce this news to his other people. He had made up his mind that he must go to Jerusalem, die after lengthy persecution by the authorities, and then after his death he would rise again. This was the triumph of his death and resurrection. – Verse 2: The high mountain is a symbol of the painful journey the apostles must make with Jesus before he can be transfigured in their presence. – Verses 3 to 6: The glory of Jesus is beyond the capacity of any earthly power, it is from God alone. Note St Mark’s comment on why St Peter proposed building three tents: he was desperately afraid of losing the moment. – Verse 7: The relationship with Jesus is covered by a cloud and yet from within the cloud they experience a renewed commitment to Jesus. – Verse 8: The apostles are alone with Jesus and they come down the mountain together. – Verses 9 and 10: It is only when they have seen Jesus die and rise from the dead that the apostles will understand the full significance of the experience. – we realize that the following of Jesus has deep implications for all of us. that it is wonderful for us to be here. with our spouse, our closest friend. with a glory we had never thought possible. in fact so wonderful that we were afraid of losing the moment. We know now that a relationship cannot remain there. So a dark cloud came over and covered the relationship with a shadow. whom we wanted to commit ourselves to forever. and we came down the mountain together. before we could understand the journey we had made. and we will see the glory that is within them and comes from you. until we have seen the Son of Man rise from the dead. and they can find you in it. moments which bind us to a person or a cause. As we continue our Lenten journey towards Easter, we recall today the experience of the first disciples on their journey to the first Easter in Jerusalem. On a high mountain they beheld for a moment the glory of Jesus and heard the Father’s voice saying, ‘This is my Son, the Beloved, listen to him.‘ Let us now reflect that, forgiven our sins, we may behold Christ’s glory in this celebration, and let us ask the Spirit to help us hear Christ’s voice in our lives. 1. Each year at the beginning of Lent Christian agencies devoted to the relief of poverty or for the promotion of justice and peace invest a great deal of effort and resources to produce information packs on how relatively affluent communities in the developed world can assist in their work. This information is often treated as if it belonged to a parallel universe when it comes to announcing the lenten call to repentance. However, such a separation between doing good in the world and personal penitence and renewal is based on a distinction that is foreign to the Good News. If God offers us the possibility of new life through his forgiveness, then we on the earthly plane have to be offering new life to all who are deprived. One cannot wish to belong to the new creation brought about by Christ’s death and resurrection without being concerned about those for whom this creation is full of suffering. Likewise, one cannot be sorry for personal sins without recognising that we may live within systems in society or the economic world which are as much at odds with God’s plan for the universe as a life of personal debauchery. 3. In order to link these endeavours from agencies working for justice and development with the liturgy of the church as church – i.e. at the Eucharist – you could replace the homily today by going through whatever pack has been given out in your congregation this Lent. Noting the statistics it gives, noting how it is seeking to alleviate suffering, and repeating what it sees as the help it needs from people in the developed world. The gospel for the Second Sunday of Lent each year is the account of the transfiguration of Jesus. In Mark we have just passed the half way point and Jesus has revealed to the disciples that he is the Messiah but he wishes them to come to understand this not in terms of glory and esteem but in being faithful to God’s will and so he has mentioned to them for the first time that he will have to endure his passion in Jerusalem. Peter is appalled at the idea but Jesus does not shrink from telling him that those who want to follow must take up their cross. This is the background to today’s gospel. Peter, James and John who were present at the raising of the daughter of Jairus (chapter 6) are now invited up the mountain where they behold him quite literally in a whole new light. At this key moment of revelation of who he really is they are invited to ‘listen to him‘. However, as the story continues we learn that they are poor listeners and they fail to take on board his message of the self-emptying love of the kingdom.The next time these three are invited to come aside with him is at the foot of a mountain, the Mount of Olives, in the Garden of Gethsemane, and there too Jesus is revealed to them, not in glory but in suffering and, because they have not listened, they will run away. Lent is a time for letting go and these readings make the point very well. If we are to come to know Cod and the meaning of real love, then we must learn to let go of our certainties and insisting on having things our own way. Abraham and Jesus both learned to entrust everything into the hands of God the Father, even when this appeared to lead to the end of everything they had hoped for. God in Jesus would have us understand that he is with us in every moment of our lives and each moment, whether at the top of the mountain or in Gethsemane, is sacred. If we are to understand this, we must develop the art of doing what the Father has asked us and that is the art of listening, really listening to his Son. Together we are loved as Peter, James and John were loved in community. Light is caught from one to the other. We are the light of Tabor Mountain for each other. All are loved. The one I like and don’t like! The radiant body of Christ was hammered and killed later by ourselves. Love killed at Calvary rose again. Love cannot die. We can transfigure or disfigure each other.We can bring out the light and the hope and the joy in our belonging to God! Today’s Gospel is Mark’s account of the transfiguration of Jesus. In the event witnessed by Peter, James and John on the mountain, the promise of the first covenant (Moses the great law giver and Elijah the great prophet) converges with the fulfillment of the new covenant (Jesus the Messiah). Throughout Israel's history, God revealed his presence to Israel in the form of a cloud (for example, the column of cloud that led the Israelites in the desert during the Exodus -- Exodus 15). On the mountain of the transfiguration, God again speaks in the form of a cloud, claiming the transfigured Jesus as his own Son. Returning down the mountain, Jesus urges the three not to tell of what they had seen, realizing that their vision would confirm the popular misconception of an all powerful, avenging Messiah. The mission of Jesus the Messiah means the cross and resurrection, concepts Peter and the others still do not grasp. The use of the Greek word transfiguration indicates that what the disciples saw in Jesus on Mount Tabor was a divinity that shone from within him. This Lenten season is a time for each of us to experience such a “transfiguration” within ourselves -- that the life of God within us may shine forth in lives dedicated to compassion, justice and reconciliation. Love that calls us beyond ourselves is transforming. In the transforming love of Christ the Messiah-Servant, we can “transfigure” despair into hope, sadness into joy, anguish into healing, estrangement into community. The glorious Christ of the Transfiguration will soon become the Crucified Christ of Good Friday. Accepting the God of blessing is easy, but when that God becomes the God of suffering who asks us to give readily and humbly to others and to forgive one another without limit or condition, then we begin to insulate ourselves from the relationship God invites us to embrace. In risking the pain and demands of loving one another as Christ has loved us, the divinity we recognize in the Jesus of the Transfiguration becomes for us the eternal life of the Jesus of Easter. Once upon a time there was a small pond, little more than a puddle, really. Day after day the fish in the puddle would swim around and around and fight over the waterbugs. The little puddle was cradled between the roots of an ancient oak tree, beside a flowing river. One morning, the fish were startled by a sudden splash. An amazing, brightly colored fish had jumped into their riverside puddle. Its golden scales were luminous in the few rays of light that managed to shine through the muddy water. “The sea? What’s the sea? “But you don’t understand,” the luminous fish said. “I come from the sea. I’ve been there. It’s far more wonderful than you can imagine . . . ” But the realist fish snickered and swam away. The nervous fish then worked up the courage to speak. “Do you mean we’re supposed to jump into that big river?” the nervous fish stammered. But the nervous fish scurried away before the luminous fish could finish. A few fish, including a very old fish who refused to give up the dream of better things and a young fish who dared to hope in new things, trusted the luminous fish and jumped as he showed them how. And the current swept them to an exciting new life in the great sea. But most of the fish continued swimming in circles, hunting and fighting over water bugs. Like the parable of the puddle, the Gospel of the Transfiguration confronts us with both the promise of faith and what that faith demands of us. On the mountain of the Transfiguration, Peter and the disciples behold both the Jesus of the cross and the Jesus of the empty tomb. It is a vision that holds glorious promise — but a vision that will be realized only at a heavy price. Accepting the God of blessing and joy is one thing, but when God asks us to “jump” — to give readily and humbly and sacrificially, to forgive without limit or condition — then we retreat to the safety of our little “puddles.” The weeks ahead call us to descend the mountain with the “transfigured” Jesus and to take up our crosses, be they physical, emotional, economic, or intellectual, and realize the sacred goodness and value within each one of us that enables us to realize the Easter promise in our own lives. 1) Transformation from pro-choice to pro-life : Dr. Peggy Hartshorn, president of Heartbeat International, tells a dramatic story about a woman who glimpsed the mystery of her unborn child. The young woman was seeking an abortion. She simply could not handle having a baby at this time. But she agreed to an ultrasound. When the baby appeared on the screen, the woman was amazed to see the perfectly formed body, the tiny legs and arms moving inside her womb. But the woman kept saying, "No, no, I have to have an abortion." Dr. Hartshorn felt sad. She knew that seventy-five percent of women who see an ultrasound decide to keep their baby - but that a quarter, nevertheless, still have the abortion. It seemed like this woman would be in that twenty-five percent. All of sudden, Dr. Hartshorn's assistant said, "Reach out and take your baby's hand." Dr. Hartshorn thought, "Oh, gosh, why is she saying that?" But the woman raised her hand and touched the monitor. As if by some divine cue, the baby stretched out his arm to the exact place of his mom's hand. On the screen his tiny fingers met hers. She kept her baby. There is a mystery inside each one of us - the mystery of the image of God. Today’s gospel tells us how three of the apostles saw a glimpse, a tiny glimpse, of who Jesus was. That would transform them and sustain them through some dark moments following Jesus’ arrest. 2) A Death That Gives Life: A few years ago, the television and print media carried the story of a seven-year-old boy who died in tragic circumstances while on vacation with his family in Italy. Armed thieves, attempting to take the family’s car and valuables, waited in ambush in the Italian countryside. As the car passed, the thieves sprayed a shower of bullets at the vehicle. Although the family was able to escape, some of the bullets had hit the young boy, while he slept in the back seat. A short time later, the child was pronounced dead at a nearby hospital. People were shocked and outraged as the sad news was reported. But public outrage was soon replaced by wonder and admiration. The boy’s family arranged that all of their son’s vital organs be harvested and donated. As a result, the lives of eight Italians, each of whom received one or more of the child’ healthy organs, were forever changed. For some it meant being able to see again; for others death was postponed because a young vital organ had replaced an aged, defective one. Because organ donation was such a rarity in Italy, the gift of life was all the more remarkable. This story reminds us of the death of another son, whose dying brought life to so many. It is the life-giving death of this other son, namely, Jesus, which is the focus of our scripture readings for today. 3) "It's kind of hard to explain." A little boy asked his mother, "Marriage makes you have babies, doesn't it, Mom?" The mother reluctantly answered her son, "Well, not exactly. Just because you are married does not mean that you have a baby." The boy continued his inquiry: "Then how do you have babies?" His mother, not very enthusiastic about continuing, answered, "It's kind of hard to explain." The boy paused and thought for a moment. He then moved closer to Mom, looked her right in eye, and carefully said, "You don't really know how it works, do you, Mom?" (Pastor's Story File, October 1995 Submitted by Jim Pearring, New Harbor Community Church, Benicia, California). Believe it our not, this is one of the most dreaded Sundays in the Christian year for folks who use the Lectionary for their preaching. Why? Because it deals with the Transfiguration of Jesus. Generally, this is one of those "What does that mean and how am I supposed to explain that?" sort of passages. 4) "The March of the Ducks." On the side of the Peabody Hotel in Orlando, Florida, there is a cutout of a large duck symbolizing what came to be known as "The March of the Ducks." Each day at 11 a.m. and 5 p.m., the hotel people lay down a dazzling red carpet across the lobby. Then one of John Phillip Sousa's famous marches is played over the intercom. Whereupon, ten ducks, in single file, march down the red carpet in perfect harmony with the Sousa march. The ducks take a dip in the hotel fountain and then march out again in single file, down the red carpet, keeping perfectly in step with the beat of the music. For those who have witnessed "The March of the Ducks," it is an event so vivid and real and uplifting and fun-filled that it's difficult to find the right words to describe the wonder and the beauty of it -- much less try to convince someone that it is true. Today's Gospel Lesson describes an event called “transfiguration of Jesus” so wondrous and so beautiful as to defy all description (Watch: http://video.google.com/videosearch?hl=en&q=March+of+the+Peabody+ducks&um). First man: "If it keeps raining like this we'll all have to build an ark." Second man: "What's an ark?" First man: "You mean you haven't heard about Noah and the ark, and the great flood and all those animals?" Second man: "Look, my friend, I've only been in town for a day, and I haven't even had time to read a newspaper." Today's Gospel Lesson includes Mark's version of the Transfiguration story. Did I hear someone ask, "What's a Transfiguration?" 7)"I have seen the face of the pilot.” Robert Louis Stevenson tells the story about a ship that was in serious trouble in a storm. A passenger on that ship, defying orders, made his way to the pilot, who seeing the fear on the passenger's face gave him a smile of assurance. Relieved, the traveler returned to his cabin and said, "I have seen the face of the pilot. He smiled and all is well." There are times in life when we need to see our pilot face-to-face. That's what happened in this mystical story that the Church calls the Transfiguration of Christ. Peter, James and John were there. Moses and Elijah showed up from the past. They have an experience that is mystical and out of this world. "Turn you eyes upon Jesus Look full in his wonderful face." What would a glimpse of Christ himself mean to you today? 8) Could your soul use a lift today? People pay big money for radiant faces these days. Face lifts are a thriving business. The only problem is that the soul has a way of seeping through. Maxwell Maltz is a plastic surgeon. He's in the business of lifting people's faces, but, Dr. Maltz says, "Even though I get marvelous results, patients are often not happy. I have come to realize that inner scars are much more difficult to remove than outer ones." Could your soul use a lift today? Have depression, difficulty, duties and daily routines caused your soul to sag, your spirit to falter, your heart to sink? Christ came to lift us. Our reflections on the transfigured Christ will give us a spiritual lift. 9) “I'll fight, I'll fight, I'll fight to the very end." William Booth. He was a Methodist preacher, too, you know. "Willful Will" they called him, but Booth became disillusioned with the political wrangling of the Methodists. So he left the church and started a Christian mission in the poverty-stricken East Side of London that reached out to the worst. That Christian mission became the Salvation Army, which declared war on poverty and homelessness. Or, as William Booth said: "While women weep, as they do now. I'll fight. While children go hungry, as they do now, I'll fight. While there remains one dark soul without the light of God, I'll fight, I'll fight, I'll fight to the very end." That was one hundred years ago. It seems like the kind of war all of us could get behind, the war on poverty, the war on homelessness. Maybe it's time for another William Booth. If you have a heart, help us. Discipleship is a matter of your heart. "Turn your eyes upon Jesus, Look full in His wonderful face” as Peter did on the mount of transfiguration. He'll give you a lift. He'll give you a life. 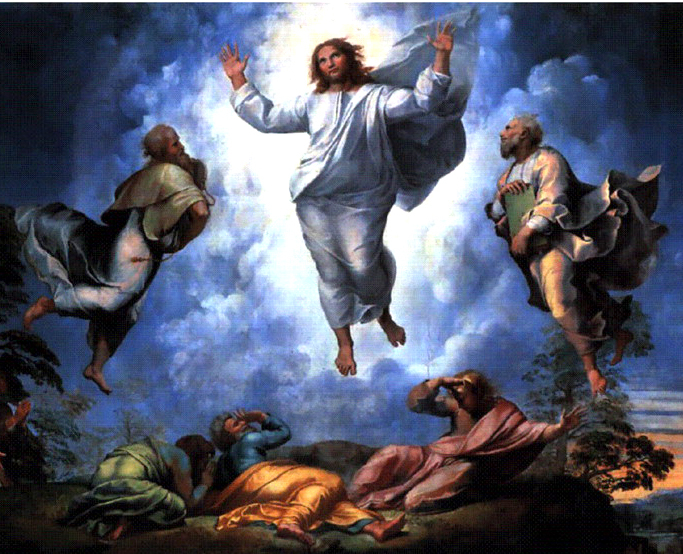 Today’s gospel says: “[Peter] hardly knew what to say, they were so terrified.” Witnessing the transfiguration of Christ was not the only time the disciples were fearful in Jesus' presence. 11) “I meet God about 1 in every 8 worship services”: A young woman asked her older co-worker: “Why do you go to church every Sunday? Does something happen there that can’t happen somewhere else? And does it happen every Sunday?” The older woman replied, “What happens is I go to meet the God whom I’ve come to know in Jesus. God meets me in other settings than at church. However, I must confess that I’m sure I miss most of God’s appointments with me. I find that I live most of my days in a daze – as though I’m sleepwalking or on autopilot. I go to church to be reminded that that’s true.” The younger woman then asked, “So you go to church every week and God meets you there?” The older woman answered, “I go to church every Sunday and for reasons I can’t explain, I meet God about 1 in every 8 worship services.” The younger woman asked, “Then why do you go every Sunday?” “I go every Sunday,” said the older woman, “because I never know when that one Sunday is going to be.” Peter, John and James had that experience on the mountain of transfiguration. 12) Edmund Hillary and a Sherpa guide, Tenzing Norgay: Those of us who are old enough certainly recall that amazing story of almost sixty years ago, May 29, 1953. A New Zealand beekeeper named Edmund Hillary and a Sherpa guide, Tenzing Norgay, were the first ever to reach Everest's summit. Here was a mountain - unreachable, tantalizing, fearsome, deadly - that had defeated 15 previous expeditions. Some of the planet's strongest climbers had perished on its slopes. For many, Everest represented the last of the earth's great challenges. The North Pole had been reached in 1909; the South Pole in 1911. But Everest, often called the Third Pole, had defied all human efforts - reaching its summit seemed beyond mere mortals. (Don George, "A Man to Match His Mountain," http://www.salon.com/bc/1998/12/cov_01bc.html) Now, success. And heightening the impact even further was the delicious coincidence of their arrival just before the coronation of Queen Elizabeth II and of the dramatic announcement of their triumph on the morning of the coronation. A "mountain-top experience"...literally. Today’s gospel presents the mountain-top experience of Peter, John and James. 13) "Well, what is it?" H.G. Wells once told a fascinating story. It is about an Episcopalian bishop, though he could have been a cleric in any denomination. He was the kind of man who could always be counted on to provide a pious platitude. He had a favorite answer that always served him in good stead. When troubled folks came to him, he would assume his best stained-glass voice and ask, "Have you prayed about it?" If said in just the right way, no more needed to be said. The bishop himself didn't pray much. After all, his life was quite uneventful. He felt quite self-sufficient. One day, however, life tumbled in on him, and he found himself overwhelmed. It occurred to the bishop that maybe he should take some of his own advice. So, one Saturday afternoon he entered the cathedral. He knelt down and folded his hands before the altar. He could not help but think how childlike he was. Then he began to pray, "O God...." Suddenly there was a voice. It was crisp, businesslike. The voice said, "Well, what is it?" When the worshipers came to Sunday services the next morning, they found the bishop sprawled face down before the altar. When they turned him over, they discovered he was dead. Lines of horror were etched upon his face. The good bishop had advised others to approach God in prayer, but when he found himself face to face with the Almighty, it scared him literally to death as Christ’s transfiguration scene scared the three apostles. (Haddon Robinson, Preaching Today). 15) Moses’ flute: John Killinger tells the legend about "the simple shepherd's pipe once played by Moses when he kept his father-in-law's flocks. When the pipe was discovered, many years after Moses' death, it was decided that it should be put on display for the benefit of his admirers. But it looked far too common for such an important purpose, so someone suggested that it be embellished by an artist. A few centuries later, when the pipe was given a new home in an upscale museum, a committee said it needed improving yet again. So another artist was employed to overlay it in fine gold and silver filigree. The result, in the end, was a breathtaking piece of art, a marvelous sight indeed. It was so beautiful, in fact, that no one ever noticed that it was no longer capable of the clear, seductive notes once played upon it by Moses." [God, the Devil, and Harry Potter (New York: Thomas Dunne, 2002), 162-3.] How do we tell what voices to listen to, whose advice to take, what directives are important, and what we should just let fall on deaf ears? In today's gospel text, the divine Voice from the enshrouding cloud offered Peter, James, and John simple, straightforward words: "This is My Beloved Son; listen to Him." The message and mission of Jesus was to guide the disciples, informing all their actions, influencing all else they heard. God's proclamation to those three disciples is the same for all who follow Christ today: Let Jesus be your high-tech hearing aid, filtering and clarifying what you hear and how you respond. Listen to him. Or as Jesus put it elsewhere, "Learn from Me." 16) Baby powder: You might remember comedian Yakov Smirnoff. When he first came to the United States from Russia, he was not prepared for the incredible variety of instant products available in American grocery stores. He says, "On my first shopping trip, I saw powdered milk: you just add water, and you get milk. Then I saw powdered orange juice: you just add water, and you get orange juice. And then I saw baby powder, and I thought to my self, ‘What a country!’"
Smirnoff is joking but we make these assumptions about Christian Transformation—that people change instantly at salvation. Some denominations make Christianity so simple: accept Jesus as your Lord and Savior, confess your sins to him, you are instantly saved and born again. Some traditions call it repentance and renewal. Some call it Sanctification of the believer. Whatever you call it most traditions expect some quick fix to sin. We go to church as if we are going to the grocery store: Powdered Christian. Just add water and disciples are born not made. Unfortunately, there is no such powder, and disciples of Jesus Christ are not instantly born. They are slowly raised through many trials, suffering, and temptations. 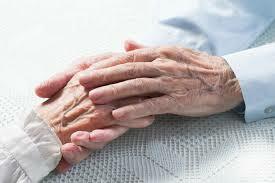 17) Transformation in old age: Two old men are chatting. One man says, "My friend, you must try this memory pill I'm taking. I remember everything. It's an amazing memory booster." The other man says, "Sounds wonderful. What is the name of the pill?" The first man says, "Hmm! The name of the pill ... Let’s see ... Hmmm, what is the name of the flower produced on a garden plant with thorns? It's red ... You give it on Valentine's Day." The other man says, "A rose?" The first man says, "Yes, that's right!" Then, calling for his wife, he says, "Rose, what is the name of that pill which I take to boost my memory?" 18) Lenten penance: An Irishman moves into a tiny hamlet in County Kerry, walks into the pub and promptly orders three beers. The bartender raises his eyebrows, but serves the man three beers, which he drinks quietly at a table, alone and orders three more. As this continued every day the bartender asked him politely, "The folks around here are wondering why you always order three beers?" "It’s odd, isn't it?" the man replies, "You see, I have two brothers, and one went to America, and the other to Australia. We promised each other that we would always order an extra two beers whenever we drank." Then, one day, the man comes in and orders only two beers. As this continued for several days, the bartender approached him with tears in his eyes and said, "Folks around here, me first of all, want to offer condolences to you for the death of your brother. You know-the two beers and all..." The man ponders this for a moment, and then replies with a broad smile, "You'll be happy to know that my two brothers are alive and well. It’s just that I, myself, have decided to give up drinking for Lent. Now I am drinking for the other two!" There are times in our lives when God seems to be asking us to make difficult and cruel choices, almost impossible ones! How can God be asking something difficult from us? Why can’t He be reasonable? If only we could have the ecstasy without the agony! Yet we all know that in life there is no escaping from the difficult situations that come our way. Only our faith and our love can transfigure our crosses. In the first reading we are told that God put Abraham to the test by asking him to sacrifice his son Isaac. Surely God could not be asking such an unreasonable thing? After all, this son Isaac, was given to him as a promise. How could God go back on his promise? The other question we could ask is: How and why was Abraham so ready to comply? The only answer to these questions is the tremendous faith of Abraham and the passionate love of God, who rejected the practice of human sacrifice. God spared Isaac and instead provided the lamb of sacrifice. Although God spared the only son of Abraham, He did not intervene to spare His own son Jesus Christ. Charles Rayburn has been a victim of cerebral palsy since his birth. His only means of communication was an electric typewriter which he strikes with a stylus attached to a band around his head. In spite of his palsy, Charles Rayburn has published 37 articles in national magazines. 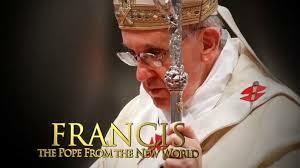 One of his articles appeared in America magazine and dealt with the Stations of the Cross. Charles Rayburn is a living example of today’s reading about Isaac and Jesus. These three figures and the three readings are tied together by a triple theme –the theme of Sonship, Death and Deliverance. In today’s gospel the account of the transfiguration gives us some insight into the mystery of Jesus, Son of God. The transfiguration is an epiphany story. This is the earliest epiphany story about Jesus, where the veil is lifted and his apostles were given a glimpse of his future glory. The chief significance of this event was for Jesus himself. It was meant to confirm him in the course he had undertaken. But it also benefited the apostles, and it is this that Mark emphasizes. On the mountain Elijah and Moses appeared to them representing the prophets and the law respectively. Thus Jesus is seen as bringing the law and the prophets to fulfillment. We do not know what exactly happened on that mountain but it seems Jesus had an intense experience of the presence of God. He heard those marvelous words: “You are my beloved Son.” On Tabor Jesus felt comforted and affirmed. He knew that the Father was pleased with him and would give him all the strength he would need to face whatever lay ahead. With God on his side he could face anything. At times, life could be dark for us and we too need to hear those reassuring words: “You are my son the beloved, my favour rests on you.” People from time to time do affirm us, but their affirmation is conditional. “You are good but you need to change your behavior”! “You are good but only if you live up to my expectations!” Only God affirms us exactly as he affirmed his son Jesus. With him there are no terms and conditions even if we are sinners and have failed him. We will always remain the well beloved sons and daughters of God. On that mountain the Father affirmed Jesus and that same Father is waiting for us to come to him to be affirmed as his well beloved sons and daughters. Our problem is that as soon as we run into trouble our faith fails us. We think that God has abandoned us. But if we pray we will realize that God has not abandoned us, He is always with us. Like Jesus on Tabor we too can experience being affirmed by God, we too can be transformed by the power of his Spirit, if only we let Him into our lives. John Updike wrote a short story called “Pigeon Feathers.” It’s about a young boy, David, who begins to have doubts about his faith. One night in bed David is thinking about his problem. Suddenly he decides upon a bold experiment. He takes his hands from under the covers, lifts them above his head, and asks Jesus to touch them. As David waits breathlessly, he thinks he feels something touch his hands; not sure if they have been touched or not. We can all relate to David in this scene. We too experience times when our faith seems to disappear or go behind a cloud. When this happens, we long desperately for a sign that God is real and that Jesus is the Son of God. Or to put it in another way, we long for a sign of Jesus’ glory, like the one Peter, James and John received in today’s gospel. Perhaps you have heard of the man who wanted to test his wife’s hearing. He stood some distance behind her and said, “Honey, can you hear me?” Having received no answer he moved closer and again whispered, “Honey, can you hear me?” Again having received no answer he moved right up behind her and softly said, “Honey can you hear me?” She replied, “For the third time, yes!” – In some ways this story could be analogous of our communication with God. We constantly check to see if he is listening in hopes that he will respond to our needs. In reality, he hears us, but he has asked us to listen to him as well. 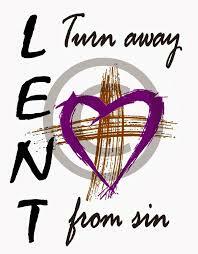 Lent should be a listening time for each of us. When we learn to listen, our lives become obedient lives. Arthur Ashe, the legendary Afro-American Wimbledon player was dying of cancer. He received letters from his fans, worldwide, one of which read: “Why did God select you for such a dreadful disease?” Ashe replied, “The world over, 5 crore children start playing tennis, 50 lakhs learn the game, 5 lakh turn professional, 50,000 come to the circuit, 5,000 reach Grand Slams, 50 reach Wimbledon, 4 to the semifinals, 2 to the finals. When I won the Wimbledon crown, I never asked God, “Why me?” Today, in pain, I shouldn’t be asking God, “Why me?” Wimbledon crown, cancer cross. That’s Christianity! Once there was a very sincere man who wished to live a holy life. So he went to his rabbi to seek his advice. The rabbi congratulated him on his ambition, then asked, ‘How have you been faring so far?’ ‘Quite well, I think,’ the man replied. ‘When you say well what do you mean?’ the rabbi asked. ‘I haven’t broken any of the commandments,’ the man replied. ‘I haven’t taken the Lord’s name in vain. I haven’t killed anyone. I haven’t dishonored my father or mother. I haven’t killed anyone. I haven’t been unfaithful to my wife. I haven’t stolen. I haven’t borne false witness against anyone. And I haven’t coveted my neighbor's wife or goods.’ ‘I see,’ said the rabbi. ‘So you haven’t broken any of the commandments.’ ‘That’s right, the man replied with pride. ‘But have you kept the commandments?’ the rabbi asked. ‘What do you mean?’ said the man. ‘I mean have you honored God’s holy name? Have you kept holy the Sabbath day? Have you loved and honored your parents? Have you sought to preserve and defend life? When last did you tell your wife that you loved her? Have you shared your goods with the poor? Have you defended the good name of anyone? When last did you put yourself out to help a neighbor?’ The man was taken aback. But to his credit he went away and reflected on what the rabbi had said. He realized that up to this he had been merely intent on avoiding wrong-doing. It’s surprising how many people think this is the highest criterion of virtue. But the rabbi offered him a new vision of goodness – not merely to avoid evil, but to do good. Up to now he had a negative concept of goodness. He had given him a new and better compass to guide him, a new and more challenging path to follow. A brilliant magician was performing on an ocean liner. But every time he did a trick, the Captain's parrot would yell, "It's a trick. He's a phony. That's not magic." Then one evening during a storm, the ship sank while the magician was performing. The parrot and the magician ended up in the same lifeboat. For several days they just glared at each other, neither saying a word to the other. Finally the parrot said, "OK, I give up. What did you do with the ship?" The parrot couldn't explain that last trick! It was too much to comprehend, even for a smart parrot. Peter said to Jesus, "Rabbi, it is good for us to be here. Let us put up three shelters-one for you, one for Moses, and one for Elijah." Scholars over the years have tried to explain what in the world Peter meant by this suggestion. But, I think trying to find meaning to these words is pointless. It's simply the way Matthew explains: Peter was frightened and he just said the first thing that came to into his head. He simply could not comprehend what was happening. In life, moments occur that are incomprehensible. The birth of one's own child is one of those moments. The loss of a loved one is one of those moments. September 11 was one of those moments. There are mountaintop and valley moments throughout life. We are never ready for them. They arrive unannounced changing us in irreversible ways. But there is one thing they all have in common. They demand that we be silent and listen. These moments have something to say to us, to teach us. When parents are trying to teach their very young children basic social skills one of the first big lessons is "Use your words." Instead of grabbing, hitting, screaming, or crying, we teach our children to communicate their needs and desires through the use of words. Instead of snatching a toy away from another child we teach our kids to say "May I please play with that for a while?" Instead of screaming and throwing a tantrum, we teach our children to say, "I'm really mad," or "He was mean to me," or "She hit me!" The power of our voices, the power of words, is the first power we want our children to tap into. Verbal communication is uniquely human and is a uniquely empowering gift. Despite all the image-based advances in technology, "The Voice" is still the driving force in electronic developments. Voice power is still the ultimate power. Every new, successful emerging technology - for the past seventy-five years -- knows that voice power means market power. Remember RCA? RCA famously advertised its first record player, the "Victrola," by showing the family dog with its head cocked in curiosity as it listened to a record player. The advertising tag line was, "His Master's Voice." You might remember comedian Yakov Smirnoff. When he first came to the United States from Russia he was not prepared for the incredible variety of instant products available in American grocery stores. He says, "On my first shopping trip, I saw powdered milk -- you just add water, and you get milk. Then I saw powdered orange juice -- you just add water, and you get orange juice. And then I saw baby powder, and I thought to myself, "What a country!" Smirnoff is joking but we make these assumptions about Christian Transformation - that people change instantly at salvation. Some traditions call it repentance and renewal. Some call it Sanctification of the believer. Whatever you call it most traditions expect some quick fix to sin. According to this belief, when someone gives his or her life to Christ, there is an immediate, substantive, in-depth, miraculous change in habits, attitudes, and character. We go to church as if we are going to the grocery store: Powdered Christian. Just add water and disciples are born not made. Unfortunately, there is no such powder and disciples of Jesus Christ are not instantly born. They are slowly raised through many trials, suffering, and temptations. A study has found that only 11 percent of churchgoing teenagers have a well-developed faith, rising to only 32 percent for churchgoing adults. Why? Because true-life change only begins at salvation, takes more than just time, is about training, trying, suffering, and even dying (adapted from James Emery White, Rethinking the Church, Baker, 1997, p. 55-57). Peter took Jesus aside and rebuked him. Why? 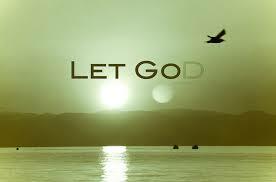 Peter believes the kingdom of God can be obtained instantly by force. Peter has a worldly view of the Kingdom and Jesus is speaking about a heavenly kingdom. For a moment I would like you to listen to this story with new ears and see Jesus through the eyes of Peter and the rest of the disciples. Get rid of all your notions about who Jesus is. Take away from your mind Jesus as the Son of God. 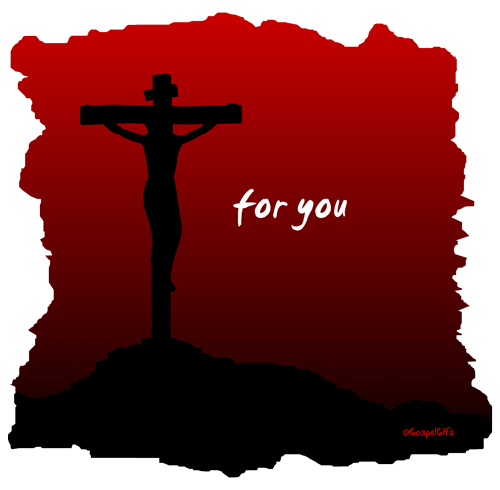 Strip from your memory that he died on the Cross and that he did that for your sins. 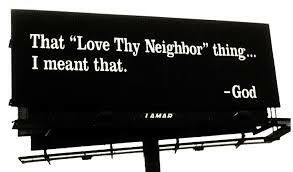 Forget that Jesus ever said love your enemies or love your neighbor. Now I want you to think of Jesus only as a military leader. Imagine that your country has been invaded and is being ruled by godless men. Sense, now, that the tension is mounting and you are about to go into battle. That you are about to conduct a coup d'etat. That you and this band of ruffians are going to attempt to overthrow this government by a sudden violent strike. That the odds are stacked against you but you have a very strong belief that God is on your side despite the overwhelming odds. There are two kinds of dogs in this world (not people this time!). There are the dogs who eat everything and anything - toss them a bit of anything, meat, cauliflower, mushrooms, shoe leather - and it will be snapped out of the sky and scarfed down without hesitation. Then there are the dogs that approach every tidbit offered to them with suspicion. They stop, they sniff, they consider, and then they finally - tentatively - accept the goodie offered to them. The spoiled doggie message being sent here is that the gift you offer is accepted with the attitude that "I am doing you a favor by eating this." The "scarf hounds" joyously wolf down whatever comes their way from our hands because they trust that we are always offering them something good, something that they want and they need. The "spoiled dogs" also show up for treat time, but they convey an attitude that suggests that we need them to be there. Those pampered pups take their invitation as a given, and their finicky feeding manners emphasize that they are "gracing us" with their presence and their acceptance of what we offer to them. Did you come to worship this morning as a "scarf hound" or as a "spoiled dog"? Are you here because your soul trusts in God's providence and presence, and hungers for the divine gift of being able to draw near to God? Or are you here because you are doing God a "favor" by showing up? Do you somehow imagine that God needs your presence and the witness of your worship in order to validate God's divinity? "I'm having difficulty with the Gospel this week; what is this cross that I am to take up, and what am I to deny in following Jesus?" "I find this a hard gospel text because it talks about suffering rather than joy." power because of the fear of death on the cross. 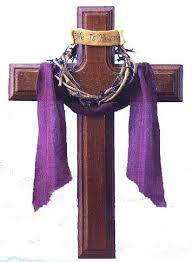 up his cross" and carry it to the public place where he was to be crucified. It was part of the humiliation process, the mechanism of social control for which crucifixion was invented. The cross was an instrument of suffering and shame - and no more so than among the Children of Israel - where the scriptures themselves declare: "cursed is anyone who hangs on a tree". To die on a cross was a sign that one died cut off from God, and cut off from the people of God - a sign that the person was rejected. And of course in the case of Jesus this was very true. "I am no longer my own but Thine, put me to what thou wilt, rank me with whom thou wilt, put me to doing, put me to suffering, let me be employed for thee or laid aside for thee, exalted for thee or brought low for thee; let me be full, let me be empty; let me have all things, let me have nothing; I freely and heartily yield all things to thy pleasure and disposal." As disciples of Jesus Christ, we'd do well to pray with Wesley and be reminded that we're not free to follow the dictates of our own sinful nature; we're free to surrender our wills to the will of God and to submit ourselves to the authority of Jesus Christ. During the dark days of World War II, England had a great deal of difficulty keeping men in the coal mines. It was a thankless kind of Job, totally lacking in any glory. Most chose to join the various military services. They desired something that could give them more social acceptance and recognition. Something was needed to motivate these men in the work that they were doing so that they would remain in the mines. With this in mind, Winston Churchill delivered a speech one day to thousands of coal miners, stressing to them the importance of their role in the war effort. He did this by painting for them a mental picture. He told them to picture the grand parade that would take place when VE Day came. First, he said, would come the sailors of the British Navy, the ones who had upheld the grand tradition of Trafalgar and the defeat of the Armada. Next in the parade, he said, would come the pilots of the Royal Air Force. They were the ones who, more than any other, had saved England from the dreaded German Lufwaffa. Next in the parade would come the Army, the ones that had stood tall at the crises of Dunkirk. Last of all, he said, would come a long line of sweat-stained, soot-streaked men in minor's caps. And someone, he said, would cry from the crowd, "And where were you during the critical days of the struggle?" And then from ten thousand throats would come, "We were deep in the earth with our faces to the coal." We are told that there were tears in the eyes of many of those soot laden and weathered faced coal miners. They had been given a sense of their own self-worth by the man at the top. Service does not always come with big fancy ribbons. And I think that it is forever true, that it is often the humble acts of service that provide us with the deepest sense of joy and the most fulfilling satisfaction. According to that great font of wisdom, Yogi Berra, "If you come to a fork in the road, take it." Mark 8 is a kind of theological fork in the road. This chapter is the hinge of Mark's gospel. Not only is this the exact middle of Mark in terms of chapters and verses, it is also theologically the center point at which the ministry of Jesus takes a decisive turn toward the cross. Jesus seems to know what he is doing and also where he is going (or, better said, where he must go whether he wants to go that direction or not). For the disciples, however, Mark 8 does present a kind of fork in the road. And like Yogi Berra, as they look at the fork in the road, they want to take it. They want it both ways. They want to stick with Jesus and be his followers while at the same time insisting that Jesus follow them down the path they want to take. This is a cheerful world as I see it from my garden under the shadows of my vines. But If I were to ascend some high mountain and look over the wide lands, you know very well what I would see: brigands on the highways, pirates on the sea, armies fighting, cities burning; in the amphitheaters men murdered to please the applauding crowds; selfishness and cruelty and misery and despair under all roofs. It is a bad world, Donatus, an incredibly bad world. But I have discovered in the midst of it a quiet and holy people who have learned a great secret. They are despised and persecuted, but they care not. They are masters of their souls. They have overcome the world. These people, Donatus, are the Christians -- and I am one of them. There's a great story about the artist Rodin, who one day saw a huge, carved crucifix beside a road. He immediately loved the artwork and insisted on having it for himself. He purchased the cross and arranged to have it carted back to his house. But, unfortunately, it was too big for the building. So, of all things, he knocked out the walls, raised the roof, and rebuilt his home around the cross (Best Sermons 3, Harper & Row, 1990, p. 115). When you hear Jesus' call to radical discipleship, I hope you will decide to knock down the walls and rebuild your life around the cross. Remember, Jesus said, "If any want to become my followers, let them deny themselves and take up their cross and follow me." Billy Graham poses the question this way: "When Jesus said, 'if you are going to follow me, you have to take up a cross,' it was the same as saying, 'Come and bring your electric chair with you. Take up the gas chamber and follow me.' He did not have a beautiful gold cross in mind - the cross on a church steeple or on the front of your Bible. Jesus had in mind a place of execution." Were I to create a short list of people who live from the outside in, it would include people who don't know what their political beliefs are until they've read their favorite political columnist; don't know what books they want to read until Oprah tells them; don't know how to decorate for Christmas until Martha Stewart directs them; don't know what to believe until their denomination tells them; don't know what to wear until they have consulted a fashion guru; don't know how to respond to the controversial issues of the day until they check their windsocks to see which way the breeze is blowing. People with this pattern are like submarines cruising through life at periscope depth and they will not come to the surface until they have surveyed the surrounding territory, making sure that their emergence will occur within optimal conditions for safety from others they perceive to be potentially menacing critics. Living life from the outside in -- we have all been there at one point or another in our journeys. And when we are accurately so described, we are the same folks Jesus had in mind when he talked about people who have gained the whole world, but forfeited their lives. We've gotten it backwards, Jesus says. Instead, turn matters inside out and live from the inside out. There is a story about two young brothers who were caught stealing sheep. The punishment back then was to brand the thief's forehead with the letters ST which stood for sheep thief. As a result of this, one brother left the village and spent his remaining years wandering from place to place indelibly marked by disgrace. The other remained in the village, made restitution for the stolen sheep, and became a caring friend and neighbor to the townspeople. He lived out his life in the village--an old man loved by all. One day a stranger came to town and inquired about the ST on the old man's forehead. "I'm not sure what it means," another told him. "It happened so long ago, but I think the letters must stand for saint." We have a choice. We can lay down the cross we have been given to bear and passively live life with no challenge to change or we can take it up and be transformed, living for something greater than ourselves: The Kingdom of God. The choice is yours. But I adjure you: Take it up! I remember a time when I had misplaced my good pen and I was looking for it everywhere. I looked in drawers. I looked under things, behind things and in things. I looked on the floor, but it was nowhere. And then I found it. I was holding it in my mouth the whole time. That is the way that life often is. We miss things that have been there the whole time. It is like when I was in college and my wife was on campus the whole year, but I never really saw her. Then one day, I SAW her. She had been there the whole time, but one day I actually saw her in my world. And she has been in my world ever since. That is the story of the Transfiguration. Jesus showed his disciples a part of the world that had been there all along, but it had not really been a part of their world. They were bewildered, astonished and trembling with fear when they saw and understood that heaven was already here in their world and that Jesus was the King of heaven.